Giallo Disco are a record label specialising in vinyl releases they describe as ‘’Horror Disco (Specially crafted atmospheric, cinematic dance music taking influence from Italo Disco, Krautrock, New Beat, EBM, House, Techno and most importantly the film scores of the 70s and 80s)”. Antoni and Vercetti are both artists in their on right and appear on many of the releases. The label has quickly gained a cult following with many of the releases highly sought after. How did the Antoni Maiovvi and Vercetti Technicolor collaboration come about? We met in 2010 in Athens at a show we both played. It wasn’t until 2012 during one of our regular discussions that the idea for a label came about, but we had no money, so we thought we’d try our hand at crowdfunding. Which worked well. We were a little disappointed Kompakt’s Fright Records had kind of stopped, was a great idea *, but maybe ahead of the curve a little. * FRIGHT is a new record label initiated by Michael Mayer and Jon Berry dedicated to exploring the realm of serial killer symphonies for back alley discos of the macabre. Tell me about where you are based and what the music scene is like there? AM: I’m not really based anywhere, I seem to move around a lot, currently I’m in Berlin, I’ve only been back for a couple of weeks working on other projects so I can’t really speculate if it’s changed much from when I was here before. Seems healthy though. 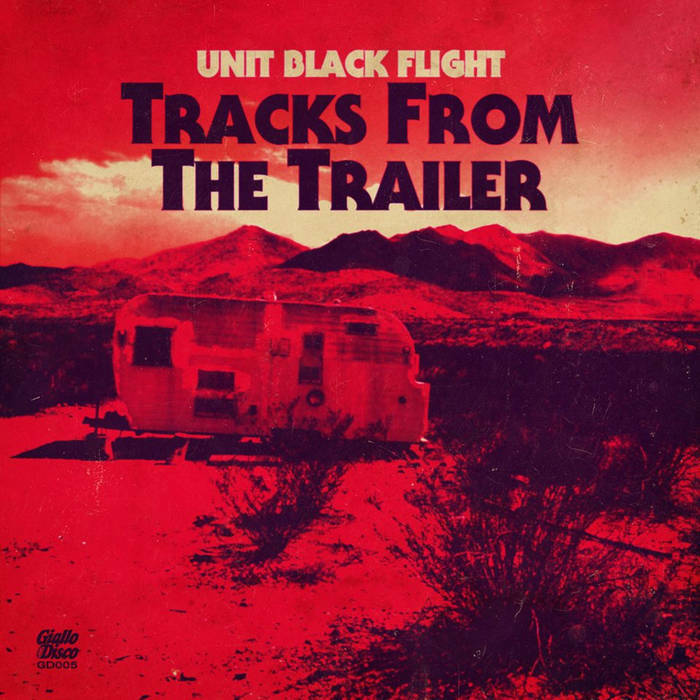 I was introduced to Giallo Disco through the vinyl version of Unit Black Flight’s ‘Tracks from the Trailer’, I already had the tape version released by Sarlacc Productions who are based in Ireland and have bought your releases ever since, having to be quicker each time as they are selling out faster with every subsequent release. The last two releases I got were through Bordello A Parigi, do they handle all your vinyl from now on for this reason? Otto from Bordello is more or less our label manager now, there were several reasons for this, one was expansion, other was cash flow, another was we found the process with just the two of us very slow because, well, we’re working producers / composers in the day. For want of a better phrase, we needed someone who could run the business side so we could be “artists” (urgh). The label runs a lot smoother now, we’ve got a good team in ourselves, Otto, Eric Lee (our art guy) and Alek Stark (our mastering engineer). From an artist’s point of view, what do you think of the nature in which music is acquired these days i.e. downloads and how in recent years vinyl and cassettes have revolted against? AM: I like vinyl, a release always feels more real. I understand people like digital though, and we’d hate to deny people the music just because of my preferred format. Because I travel so much it is nice to have the mp3s. I find over the years searching for vinyl from independent record shops has made me more experimental in my buying habits, whereas the chains don’t hold that charm at all and you buy what you went in for. Have record shops been pivotal in your musical development and buying habits? AM: Replay Records and that weird Classical music shop in Bristol were pretty much where I used to hang out. Different characters, different knowledge, both shops are long gone now which is a real shame. My buying habits aren’t that strange, I dig in the 1 euro bins a lot for 2nd hand Italo, New Beat, EBM, Prog Rock etc. With the recent passing of Edgar Froese of Tangerine Dream or in his own words, ‘’ there is no death, there is just a change of our cosmic address’’, I’ve been reflecting on their influence on the genre. For me it’s the Sorcerer soundtrack which I can hear, as its influence everywhere not least Unit Black Flight on your label. What would be your pick of their recordings be and why? GD: It would be hard for us to pick just a few, I pretty much like everything (with a few exceptions) from 1970-1988. I’m a big fan of Rubycon, Force Majure, Exit, Tangram and Optical Race off the top of our heads. But you can add Hyperborea, Ricochet, Poland and the Thief soundtrack to that as well. What we hope happens in the wake of Froese’s departure from this world is that it’s NOT about 80s sounds, it’s about NEW sounds. People buying up old synths to make old sounds make no sense to us, and yes while it’s perfectly acceptable to pastiche, those guys weren’t thinking “80s” they were thinking “FUTURE” and if Froese left us with anything, it’s that attitude. How do you rate recent practitioners in the soundtrack genre for example Daft Punk’s soundtrack to Tron Legacy? GD: Maiovvi never actually saw that Tron movie. We liked Rob’s soundtrack to the Maniac remake, we both liked Jonathan Snipes’ soundtrack to Starry Eyes and Steve Moore’s soundtrack to The Guest (lots of love for Steve’s stuff anyway, he’s a huge inspiration and a cool human also). Generally we like that things are moving away from the insistence for orchestras and back into electronics. 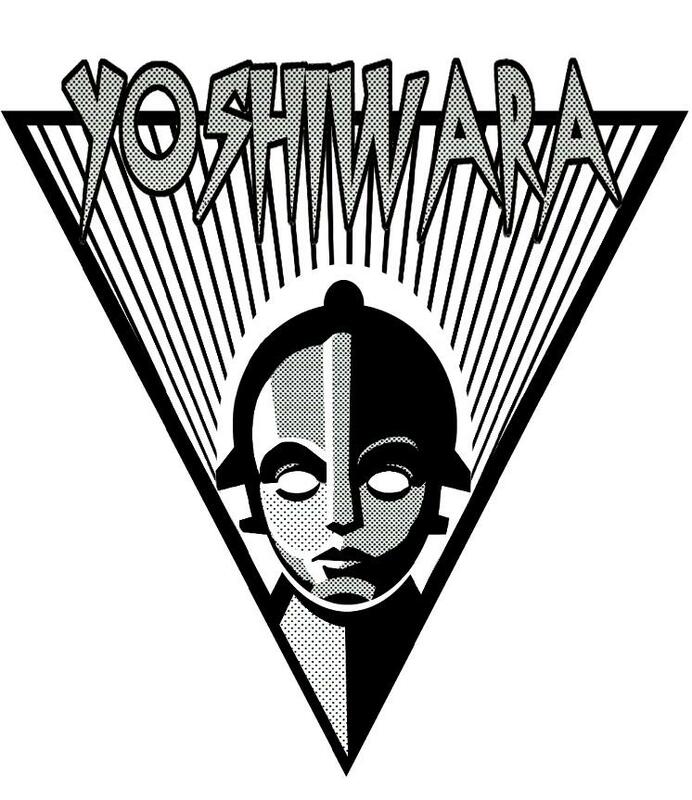 Most of your releases include a side of original material and the other of remixes. What is the thinking behind the remixes? When you hear the originals do you instantly get ideas to add to existing tracks or see them in a different way? GD: Sometimes this is because we don’t get enough tracks, sometimes (as was the case with the Unit Black Flight release) we wanted to offer people something new (because the album had existed digitally for a while) sometimes because the artist asks us. Then there is something like the Baskin OST, which was only a short movie so the actual soundtrack only took up one side. There are lots of reasons. You have recently released another full soundtrack of material ‘’Wild in Blue’’ whilst in the past you mainly released EPs. Will you be doing more full-length soundtracks? Do the longer releases have more of an appeal to you? 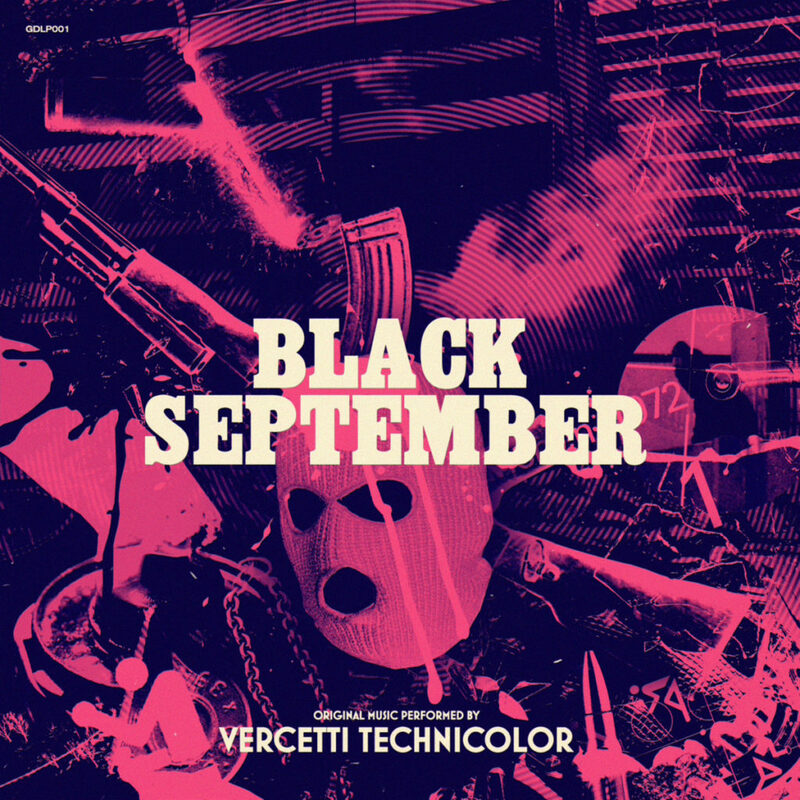 AM: The first full LP was Vercetti Technicolor’s ‘’Black September’’ album, we’ll have a lot more full lengths in the future. 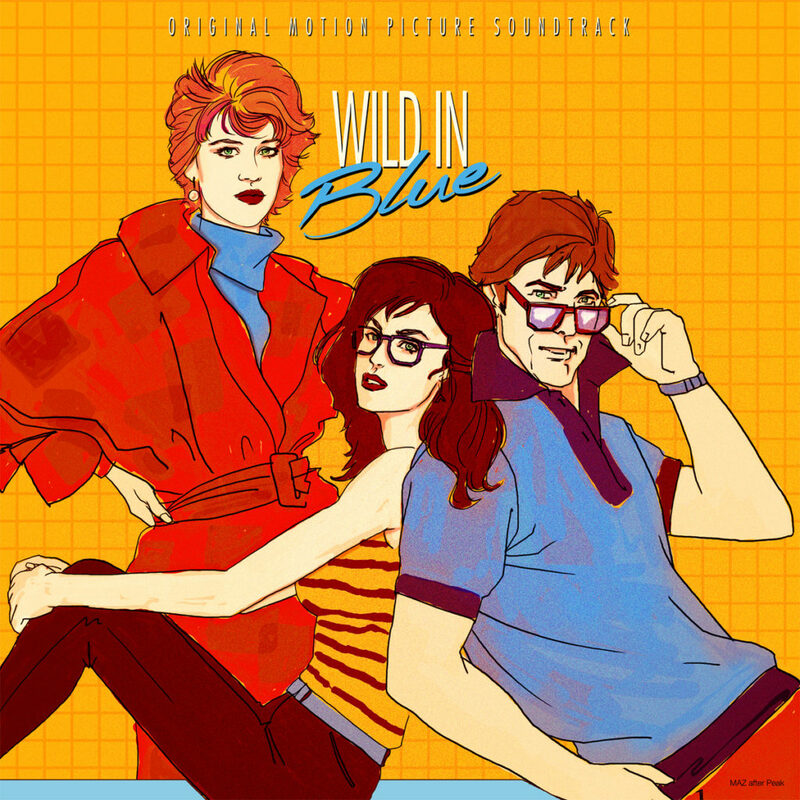 It’s important to note that our ‘Wild In Blue’ soundtrack was a work of complete fiction and nothing to do with an actual film with a similar title. I like albums. I think it forces you to listen a bit closer, because you have to interact with it. How do you find artists for the label and where should we look? AM: Some are demos, some are people we’ve met along the way, sometimes we’re looking for tracks we can DJ with that haven’t been released on wax, or artists we’ve heard on other labels. It’s such a mix that I couldn’t really tell you where to look unfortunately. But one eye on the underground won’t hurt. With Tangerine Dream and John Carpenter’s music there is a structure and development, what’s your view on the more cut and paste approach to the creation of sounds employed by another genre leader, Throbbing Gristle? GD: I guess we’re talking different approaches, because there is a huge difference for me structure wise between TD and the Carpenter/Howarth stuff. TD seem more to me like small composed sections intertwined with improvisation as opposed to the Carpenter/Howarth stuff which was written to drive/compliment the visuals. Gristle on the other hand was entirely improvised and then edited into “songs” they are much closer to Krautrock freak out bands if anything. I don’t know if you have that TG24 Box Set. There’s tons of crossover between the actual albums and the live shows. Then you have tracks like AB/7A from Third and Final Report which sound A LOT like Tangerine Dream. But, yes, either way is a perfectly valid form of composition. That whole period of early Industrial Records stuff is hugely inspirational for us, equally to the soundtrack stuff. It’s important to know your history, we’d say it’s more important than actually understanding music theory. Will you be reissuing any of your earlier titles on vinyl for people like myself who missed them the first time round? GD: Yes, we’re hoping we’ll start reissuing stuff before the end of the year. It’s just time and money really. But 001 is remastered and ready to go more or less. Then we’ll reissue everything in order. We’ll do them on yellow vinyl or something. Not sure yet. Any final comments or recommendations of artists we should be checking out? AM: We have an album coming from an artist known as HøRD, I can’t wait to unleash that one, it’s one of the best albums I’ve ever heard in my whole life, I’m so happy we get to release it. You’ll have to watch this space for the others though, we have to stay one step ahead of the curve, haha.